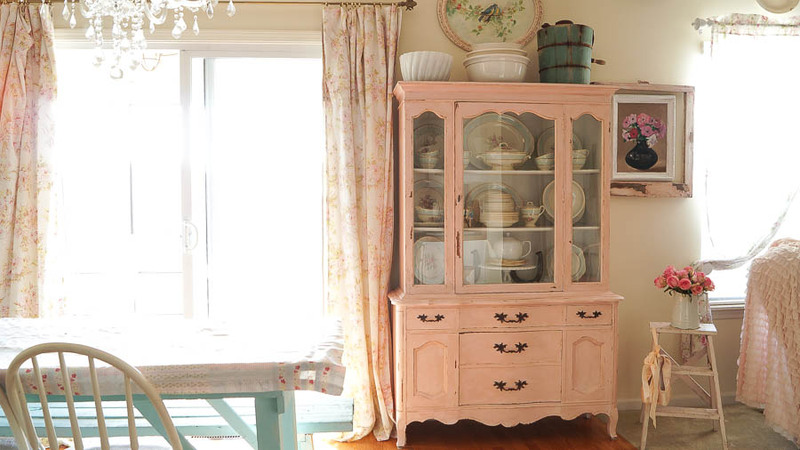 Painted furniture is really hot right now and has been for over the past 4 years. I think the reason people like it so much is because you can find a crappy piece of furniture at a garage sale, thrift shop or even on the curb, add a few coats of paint, and you have a beautiful new piece of furniture. And painted furniture isn’t limited to what you find, but also pieces in your home including cabinets and upholstered furniture. But how do you know what pieces to paint? What’s the prep, what kind of paint should be used? And do you need to finish it? Let’s go through each of those questions so I can answer those for you. Painted Furniture What Pieces Can Be Painted? Any furniture can be painted, it’s the paint used on each piece that makes a huge difference. I’ll talk about that in a bit. I have my kitchen cabinets painted, I’ve painted fabric chairs, and all kinds of furniture. Including pieces that have a veneer. In my opinion no furniture is off limits when it comes to painted furniture. 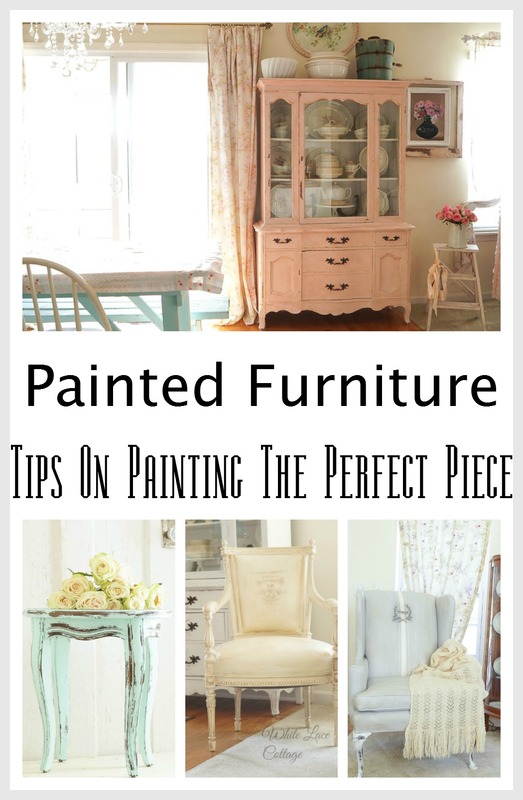 As far as painting on furniture you can do this two ways, using a primer first, then a latex paint. 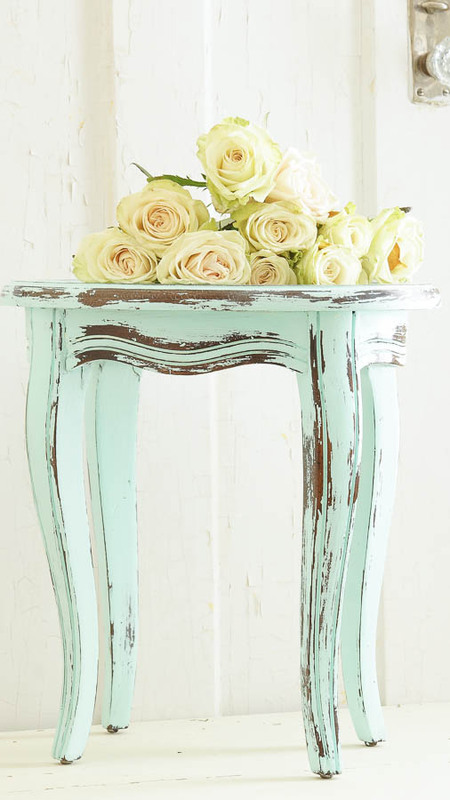 Or you can avoid using a primer and use a chalk paint. I know that this is a subject that not everyone agrees with. But I’ve never personally had problems with using a chalk paint vs priming and using latex paint. I recently shared an article about these two paints you can read more on this subject HERE. 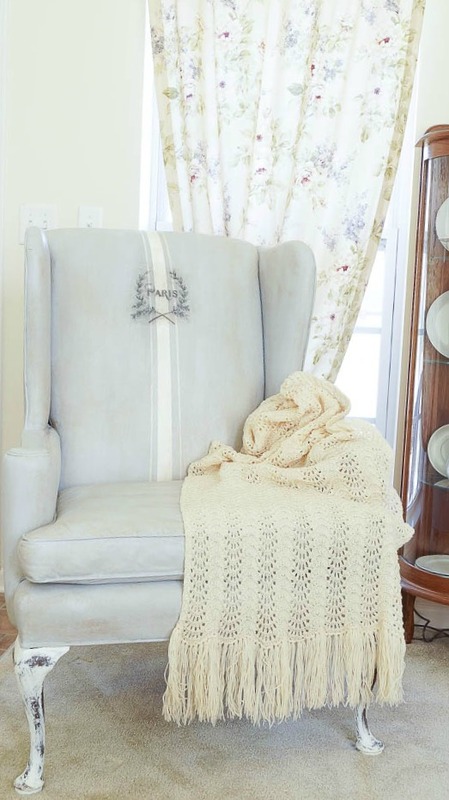 If you’re painting a upholstered fabric this can be done two ways as well, using a chalk paint or using a chalk type paint along with a fabric primer. I’ve used both methods and they both worked equally well for me. I haven’t had luck painting textured fabric as far as velvet or any textured fabric for that matter. I really don’t get a smooth look or feel. But you can paint over smooth fabric, leather and pleather using a chalk or chalk type paint. If you painting on leather or pleather no primer is needed, just paint your piece. Seal it with a clear water based coat. You can also use a clear wax depending on the look you want. I’ve used clear wax on painted fabric pieces, and the result is a smooth chair that feels like leather. Whatever piece you decide to paint make sure it’s cleaned off well. If it’s an upholstered piece, make sure that it’s vacuumed off well free of any pet hairs. If you’re painting a wood piece, make sure it’s cleaned off as well. 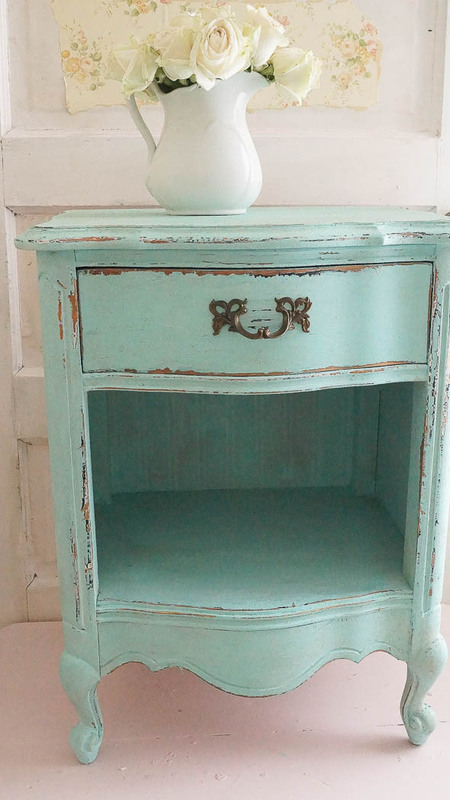 I never sand or prim before using chalk paint. The reason that I don’t is because I usually distress my pieces, and adding a primer would be really difficult to distress as the paint would adhere really well. I personally didn’t prim my kitchen cabinets, I used chalk paint and again have never had an issue with them chipping. But you need to use your own discretion. I usually always seal my painted pieces when using chalk paint. If you’re using primer and latex paint, you don’t need to seal your piece. Sometimes I used a clear coat of water based top coat, and other times I use wax. It depends on the piece. How much use it will get and the look I want. Using clear wax will give a piece an hand buffed look. Sometimes I don’t seal it at all. That’s only if I want my piece to get distressed organically.